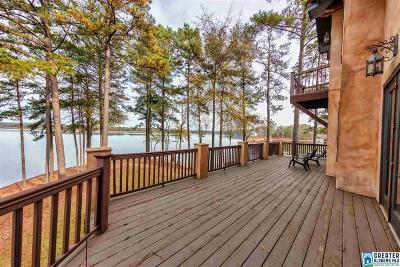 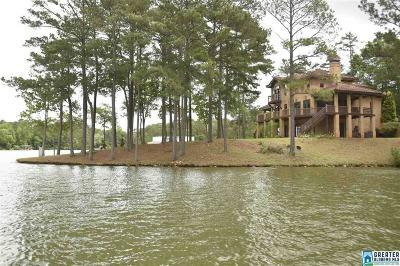 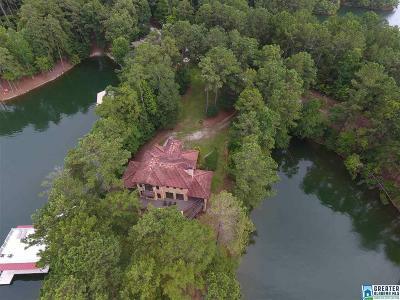 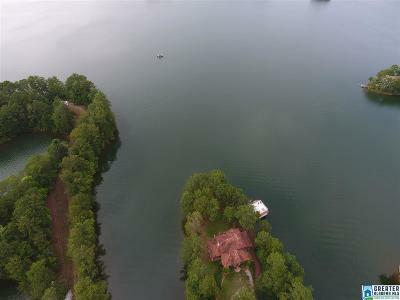 Peninsula level lot on Lake Wedowee with 633 feet of Year-Round Water! 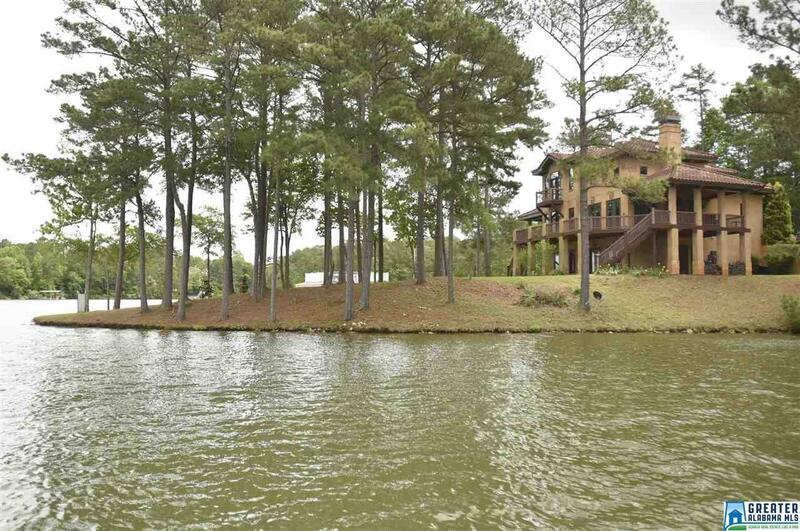 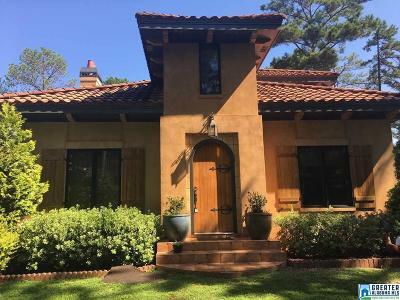 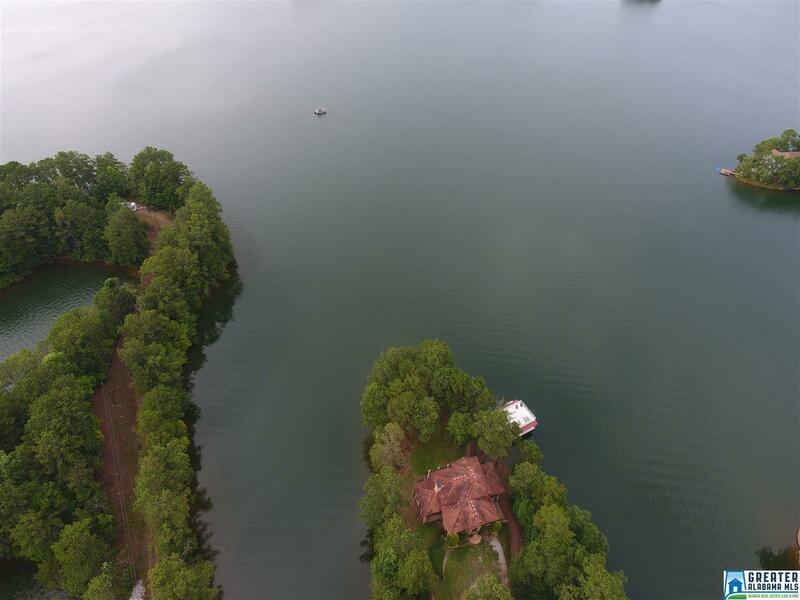 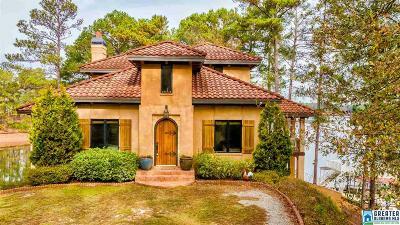 Full lake views on a point lot provides year-round private sanctuary! 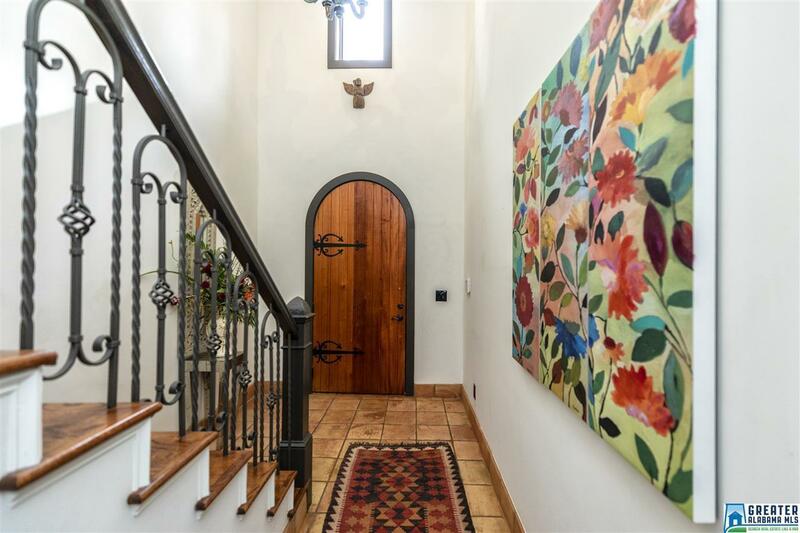 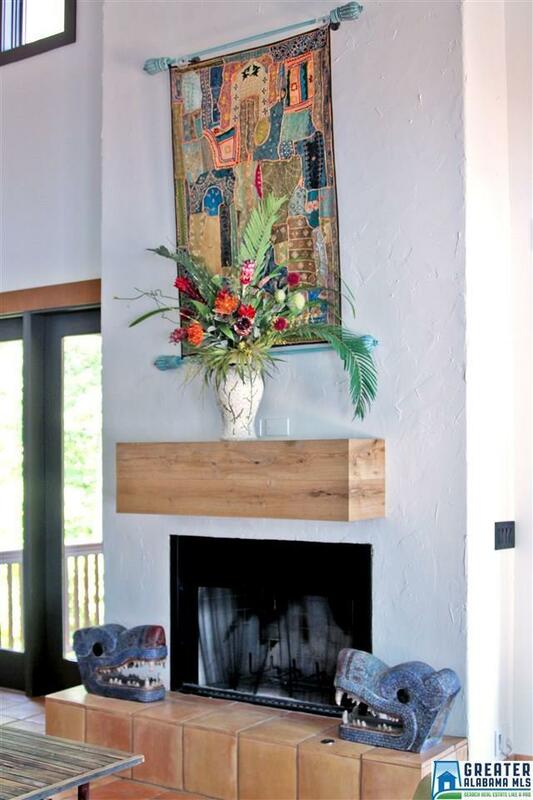 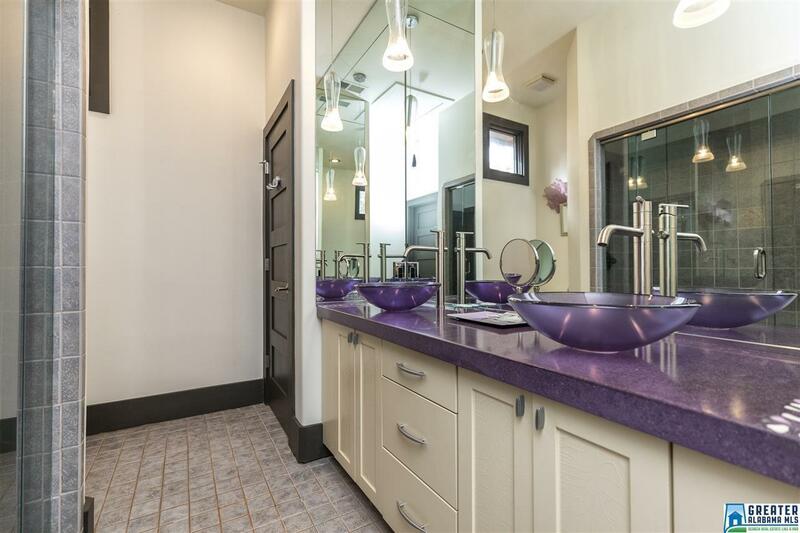 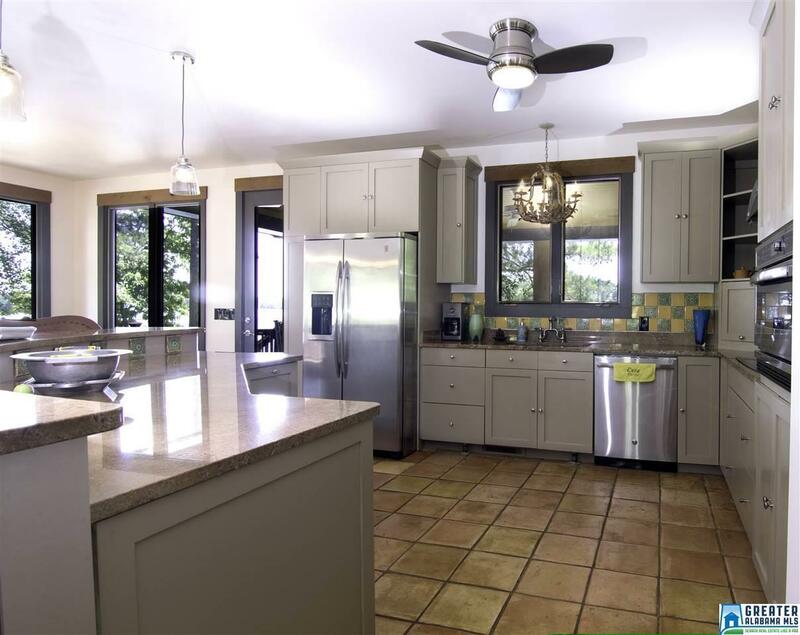 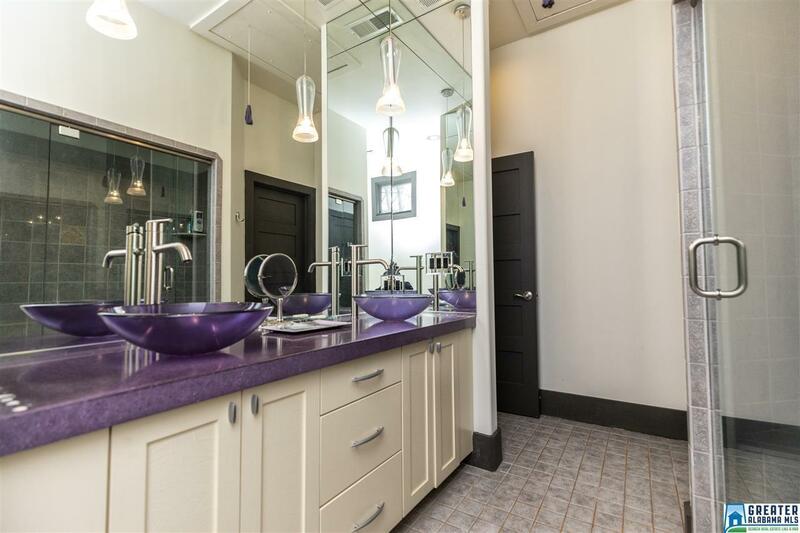 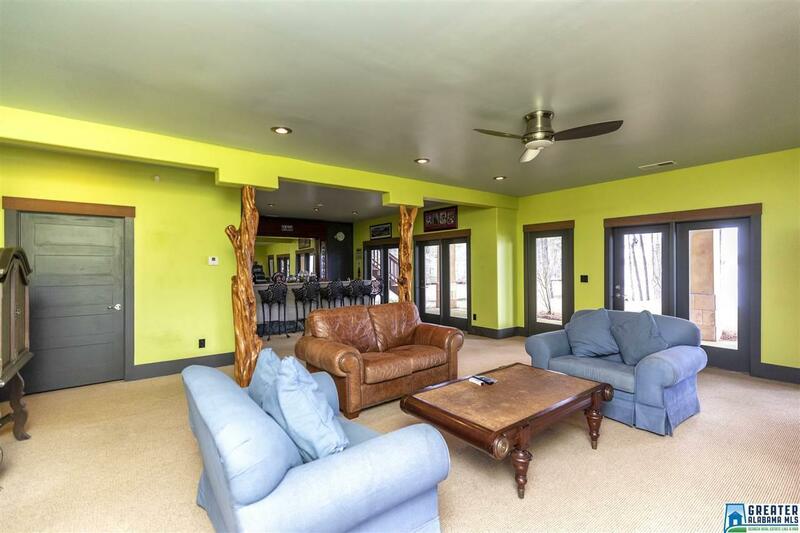 3000 square foot Custom built 5BR/4BA home with 2 fireplaces (one indoor one outdoor. 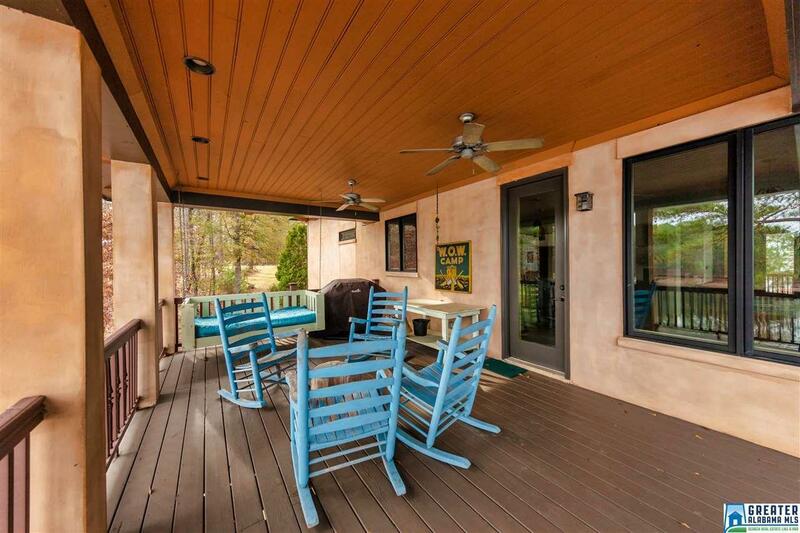 Open floor plan with wrap around decks provide great family setting. 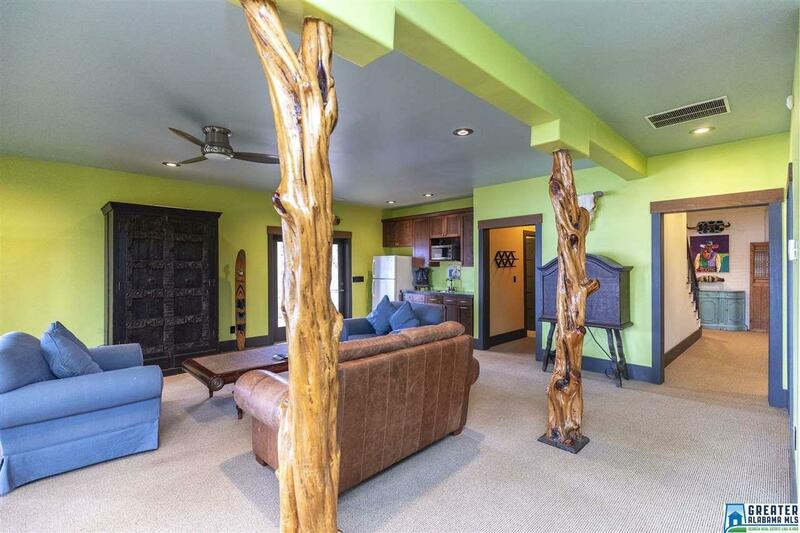 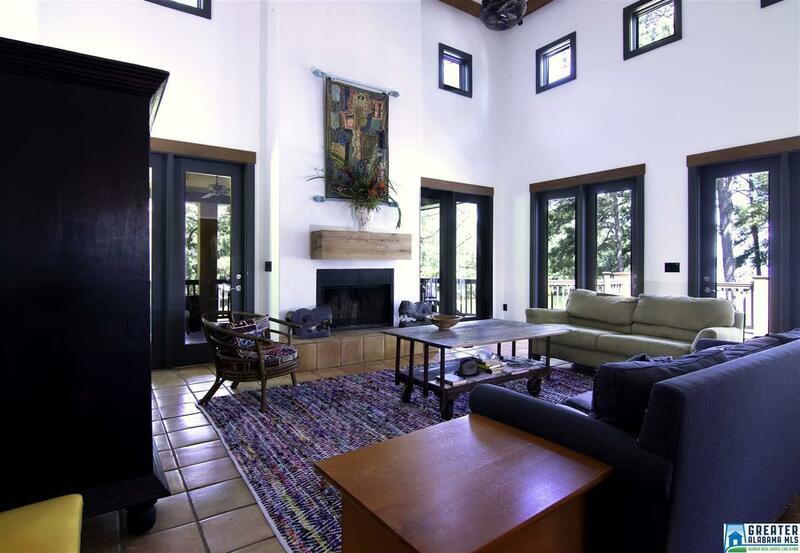 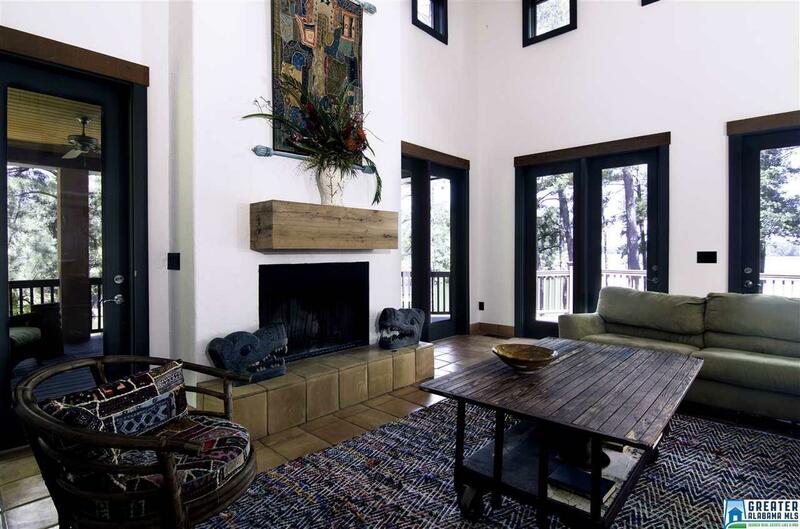 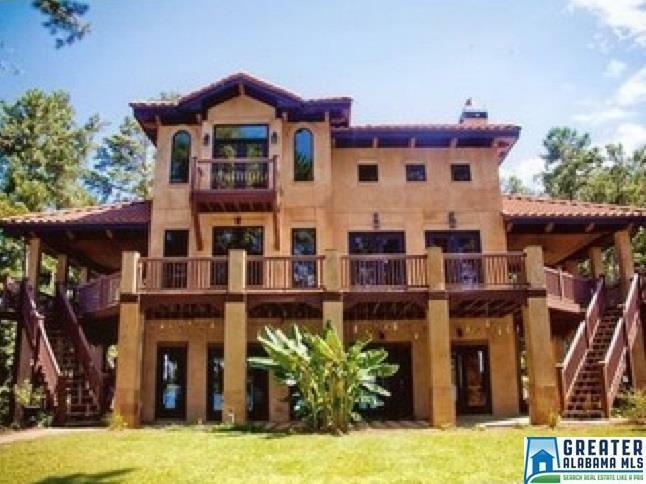 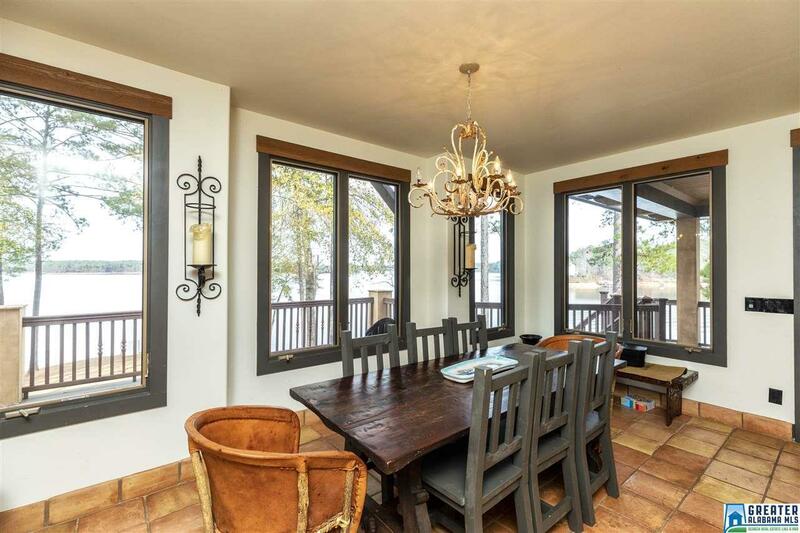 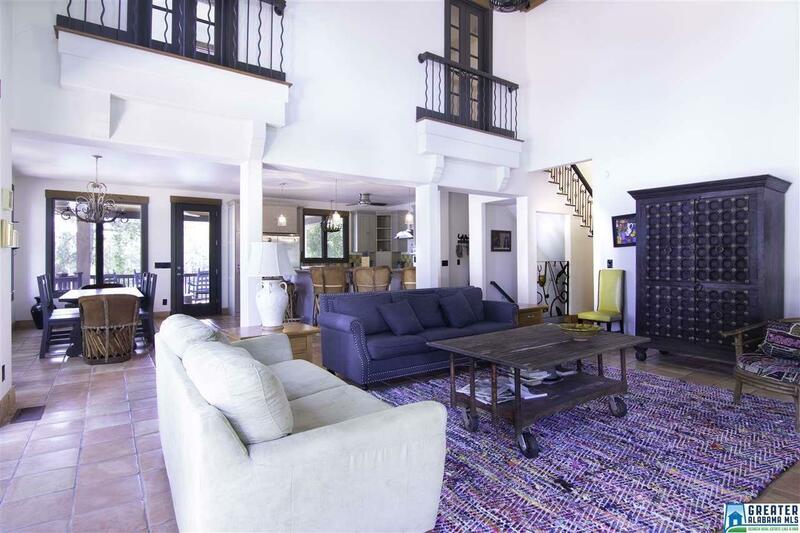 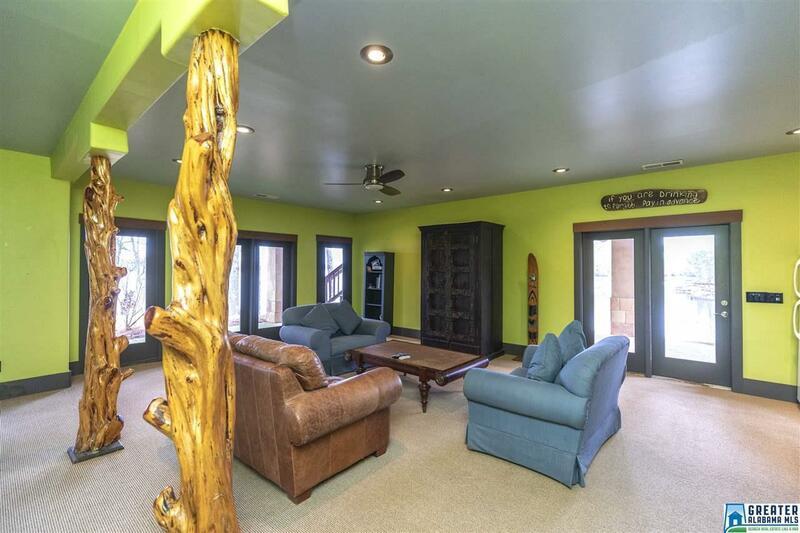 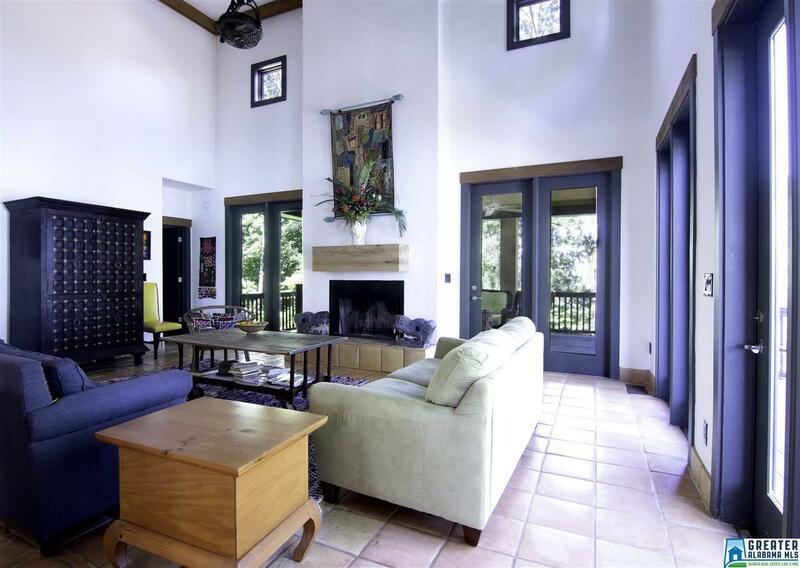 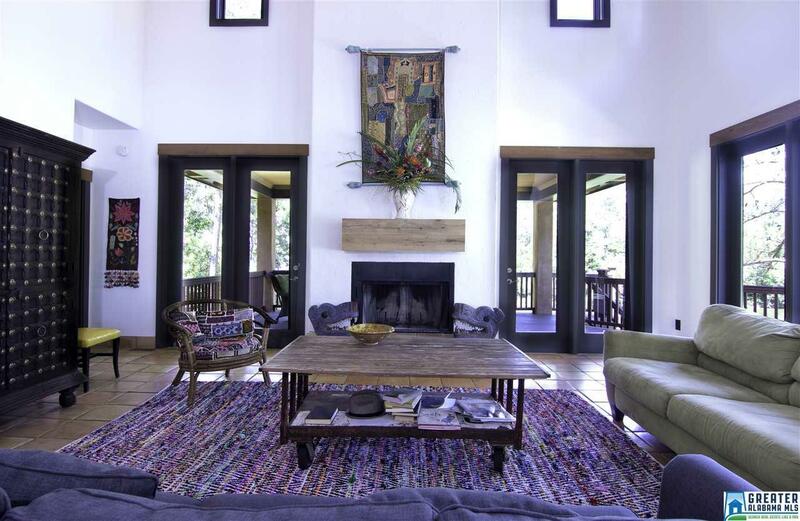 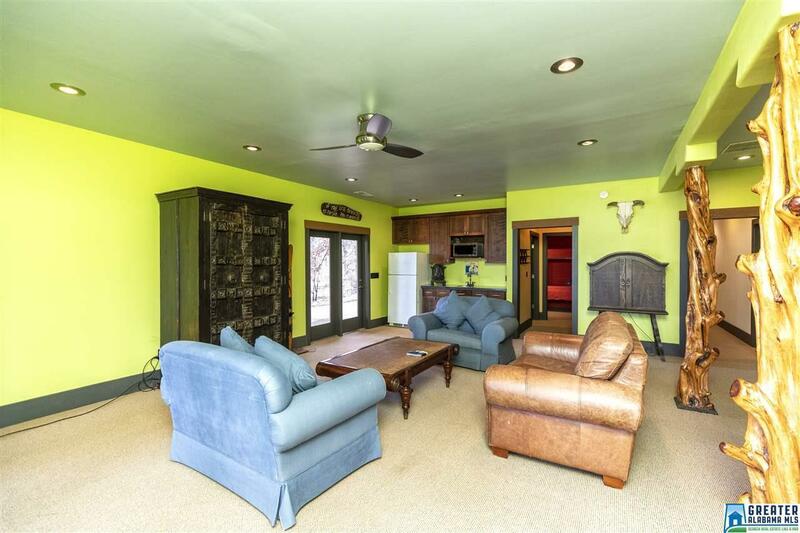 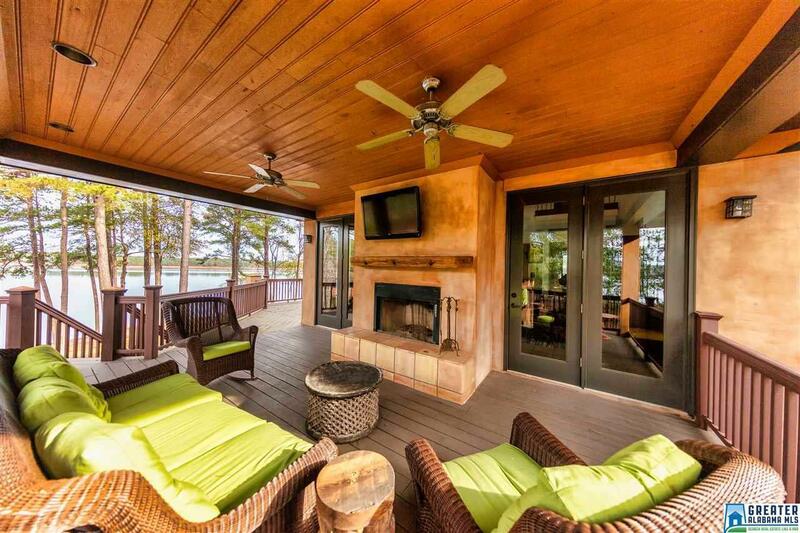 Two story great room with 8-foot exterior doors to outside deck overlooking the lake. 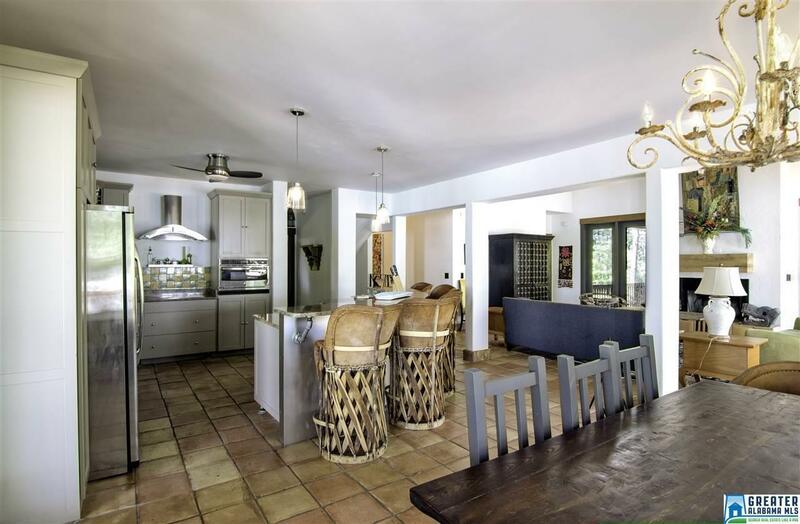 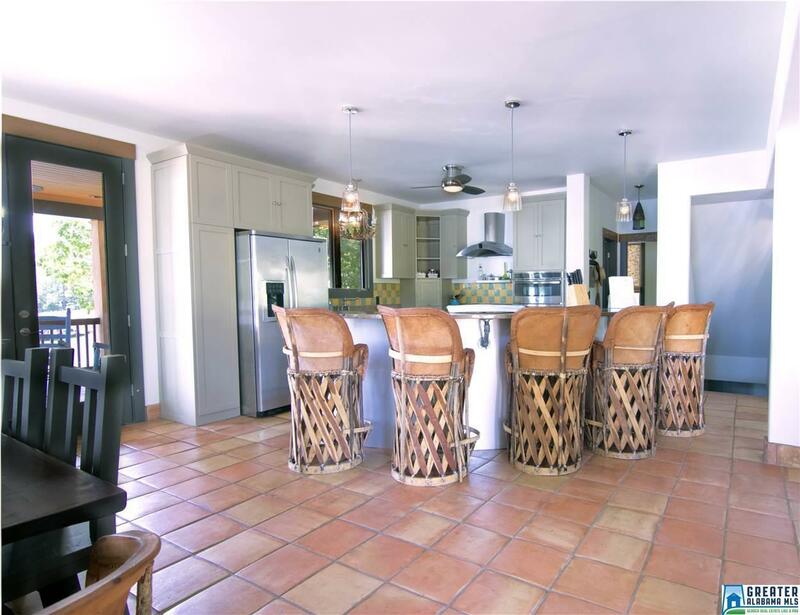 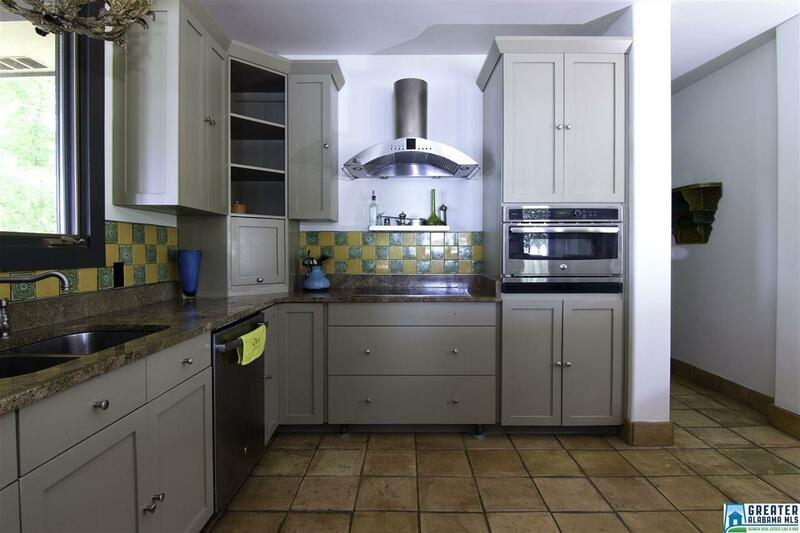 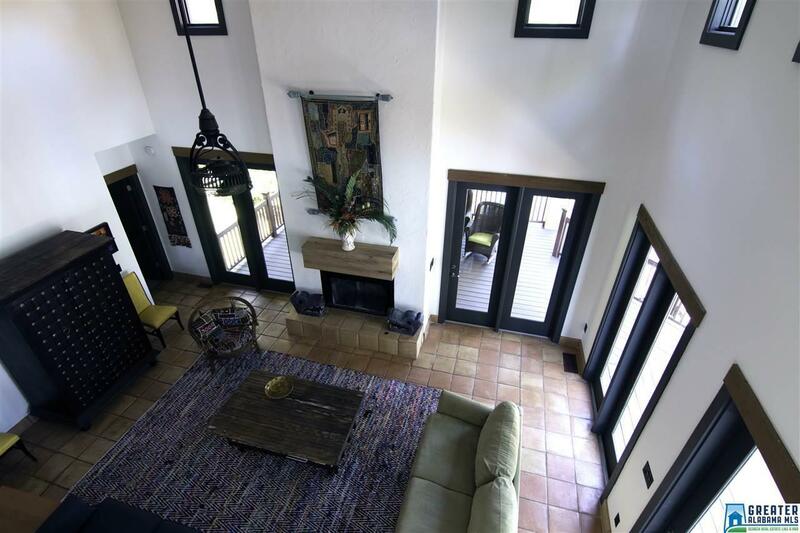 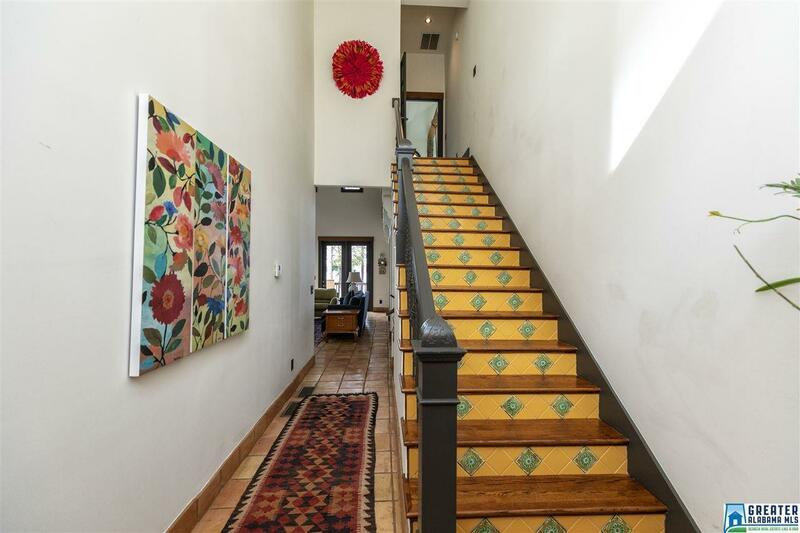 Spanish tile floors in great room and kitchen. 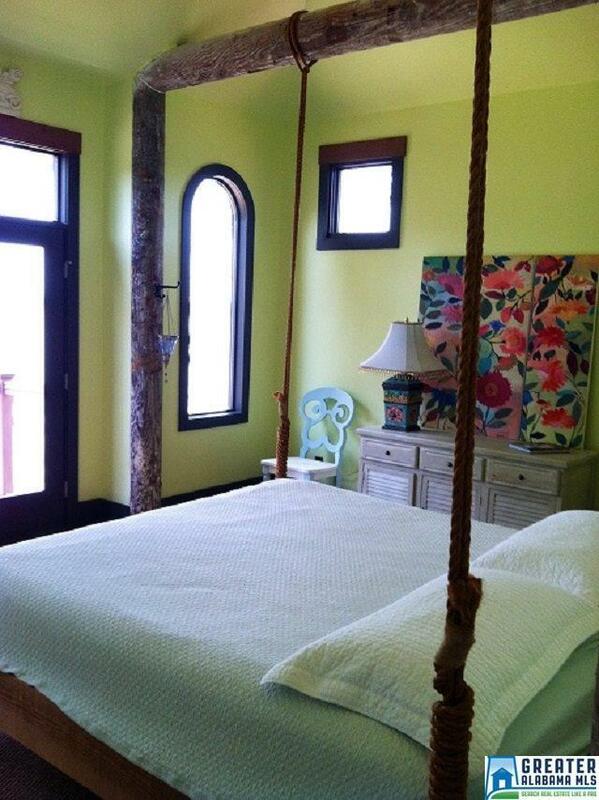 Sisal carpets in bedrooms, all with casement windows. 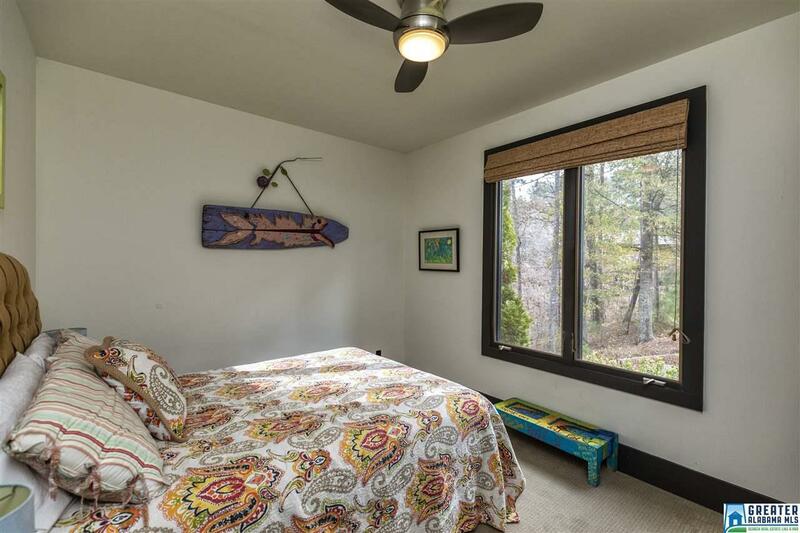 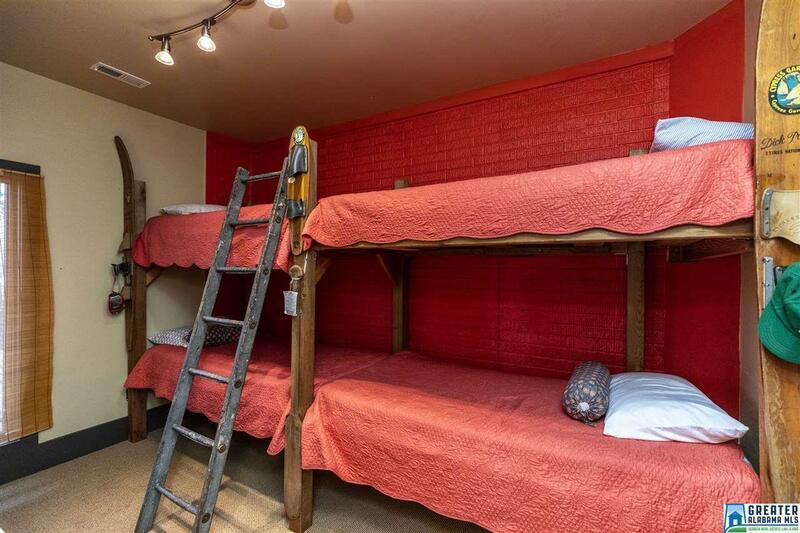 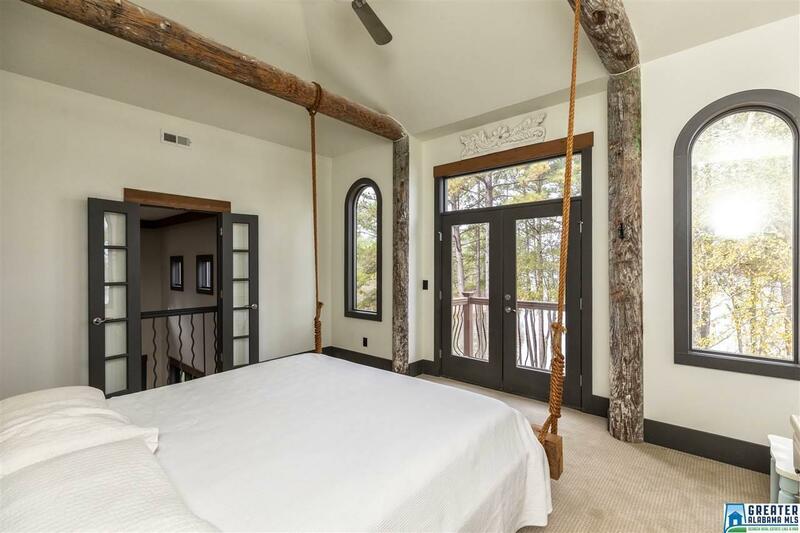 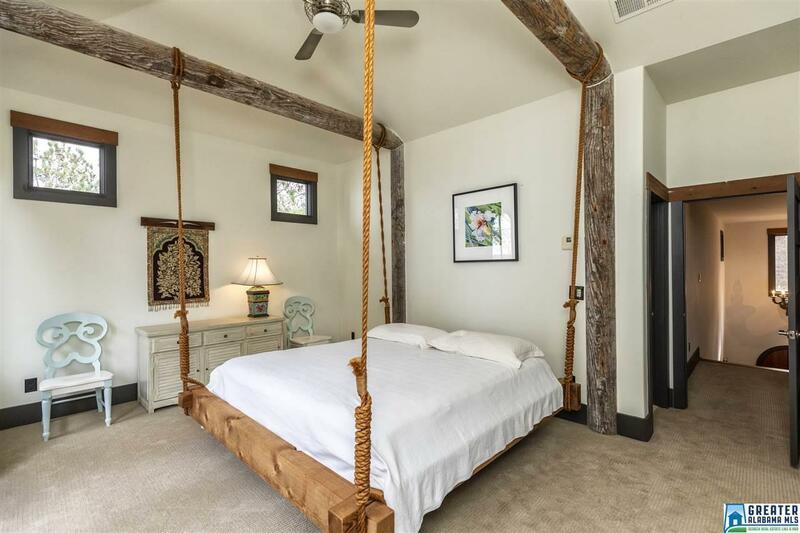 Master bedroom is on the upper level complete with swinging rope bed hung from massive beams, overlooking the lake. 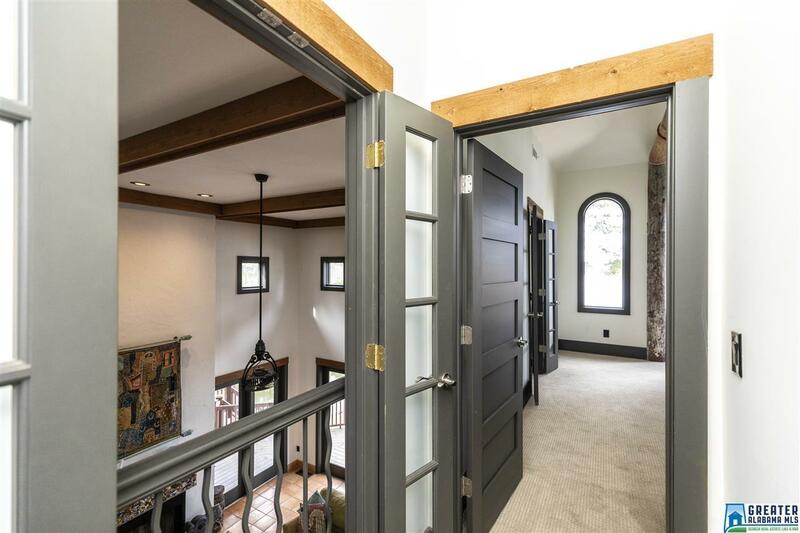 8-foot custom doors to balcony. 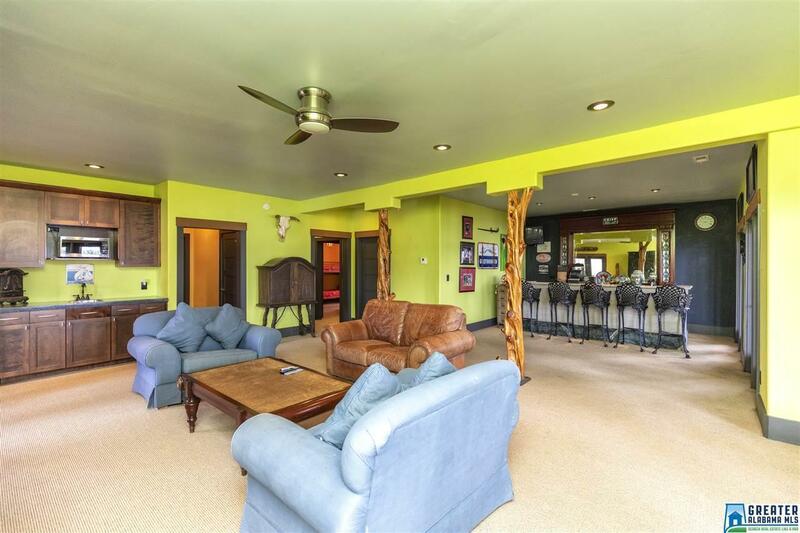 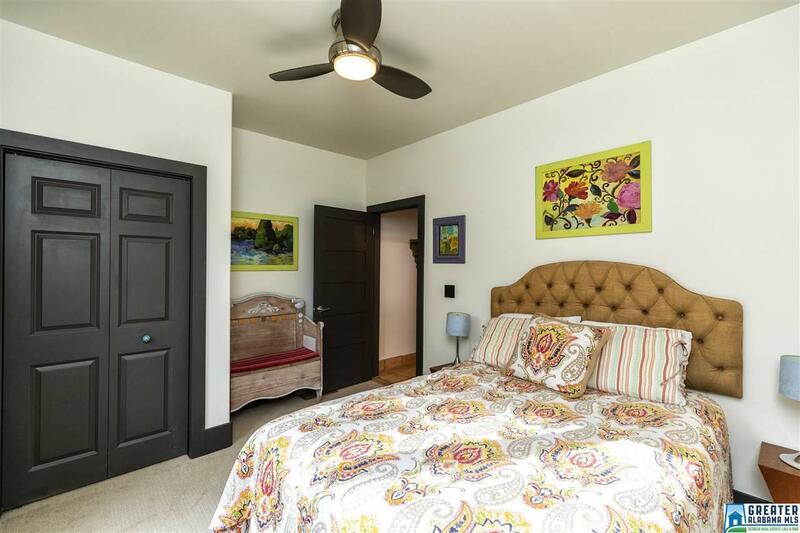 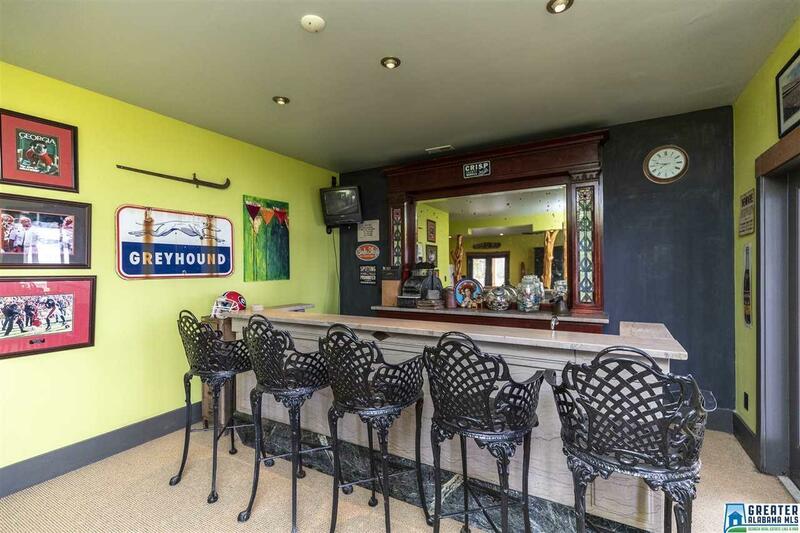 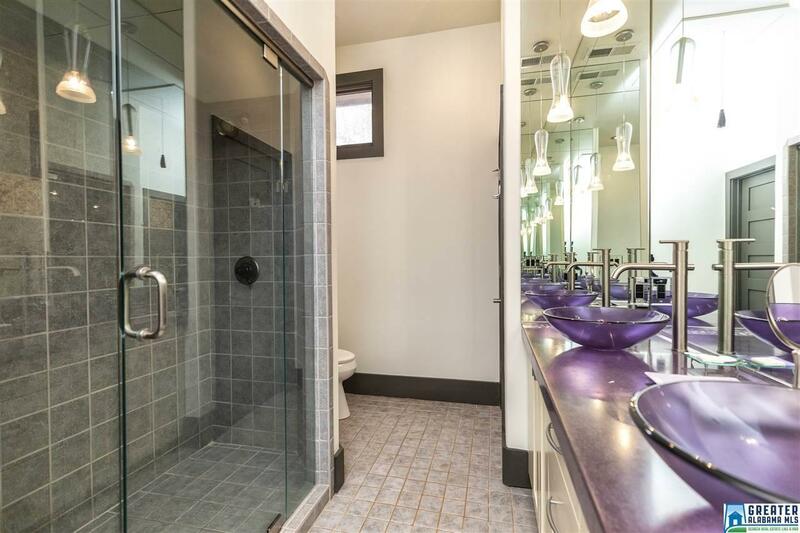 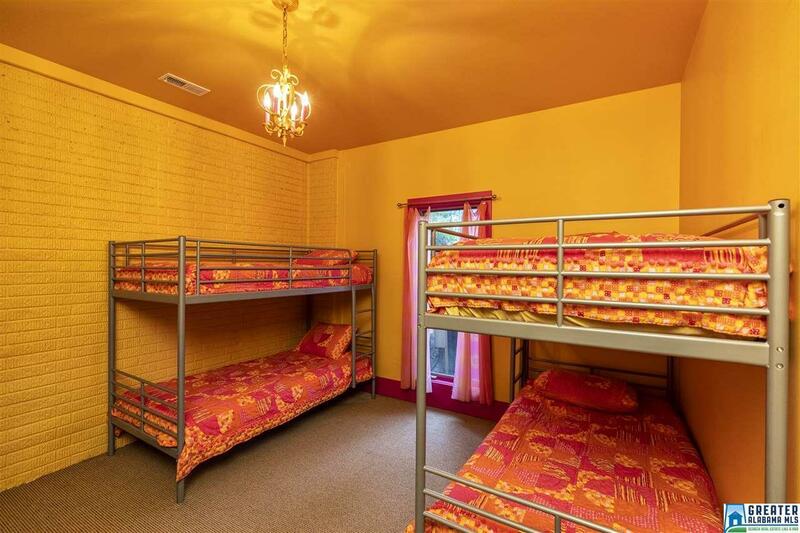 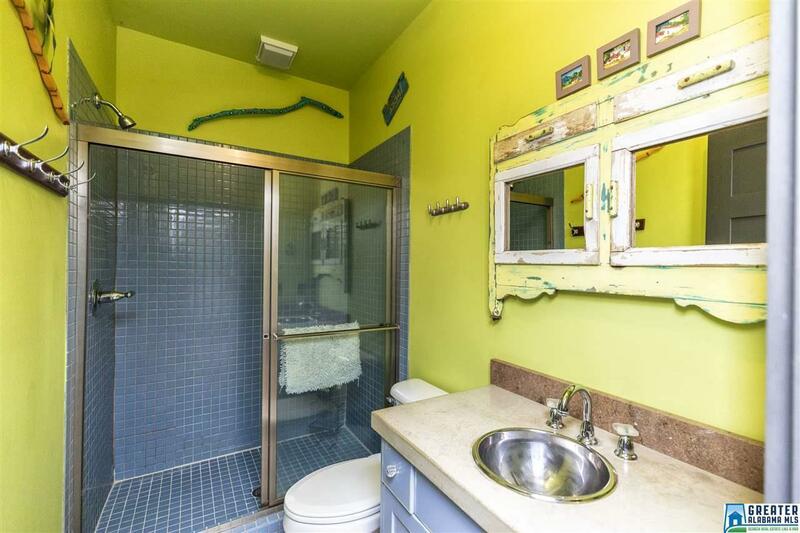 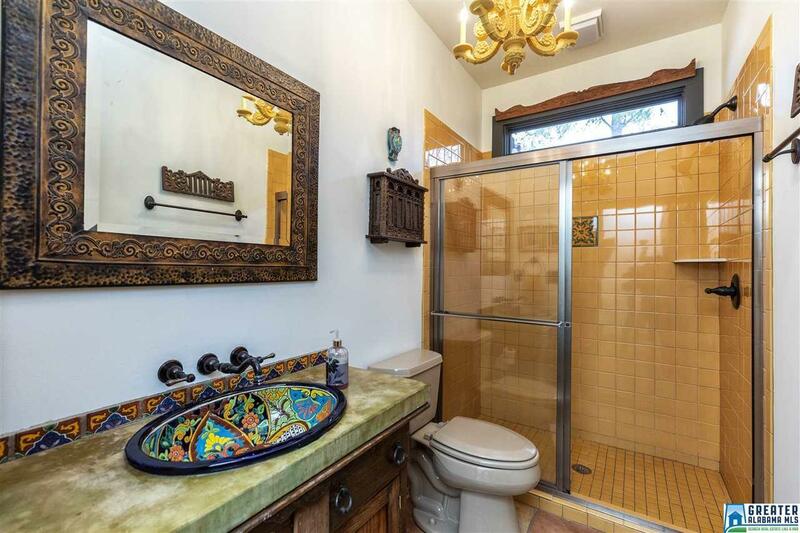 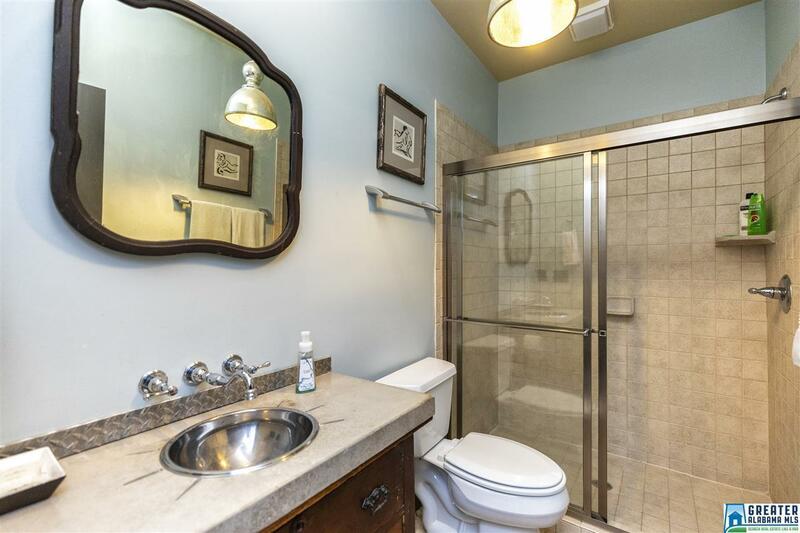 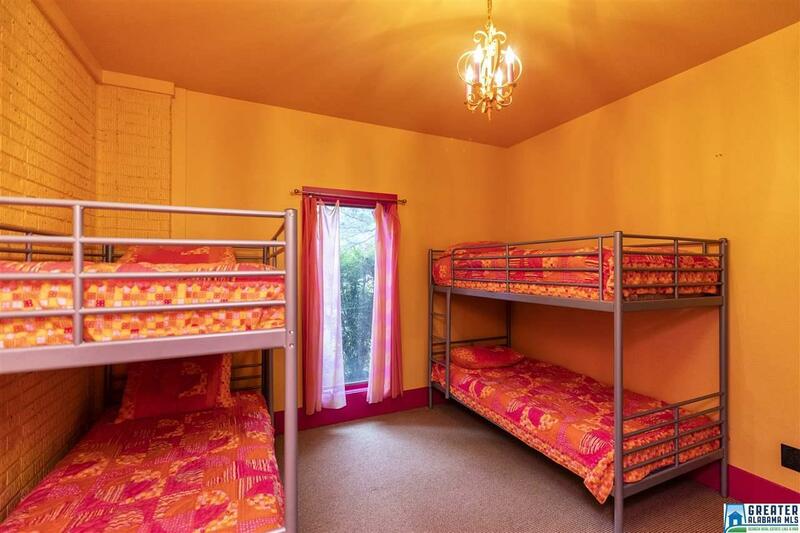 Full basement with den, two bedrooms, laundry and custom bar. 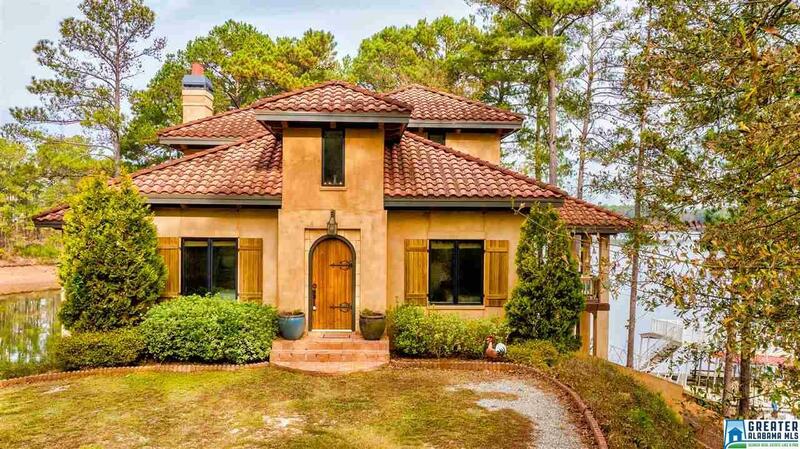 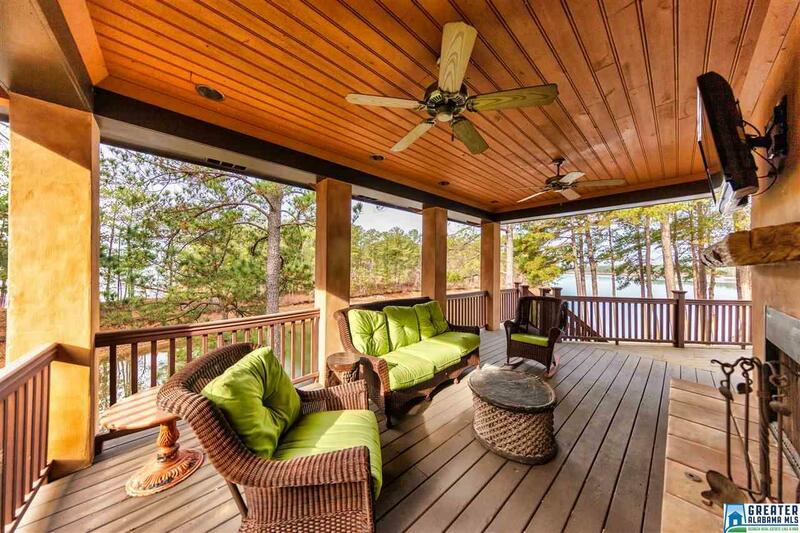 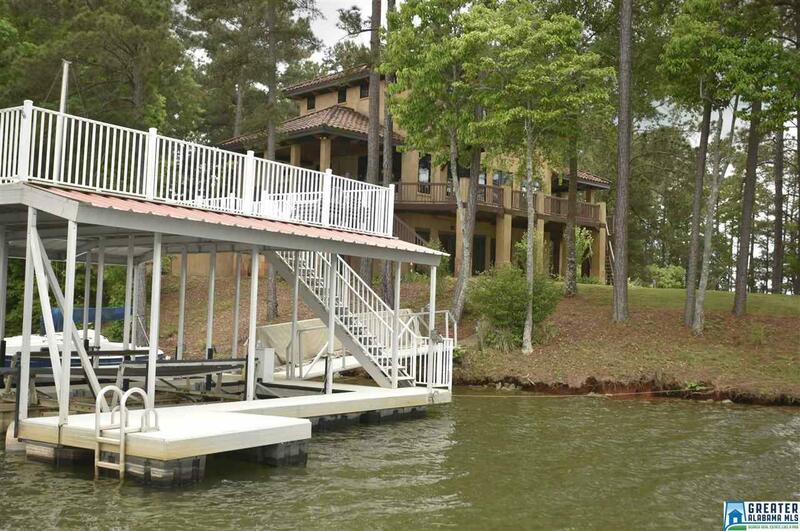 This home sits on a private point lot with easy access to the water. Floating 2 story 2 bay dock with lift. 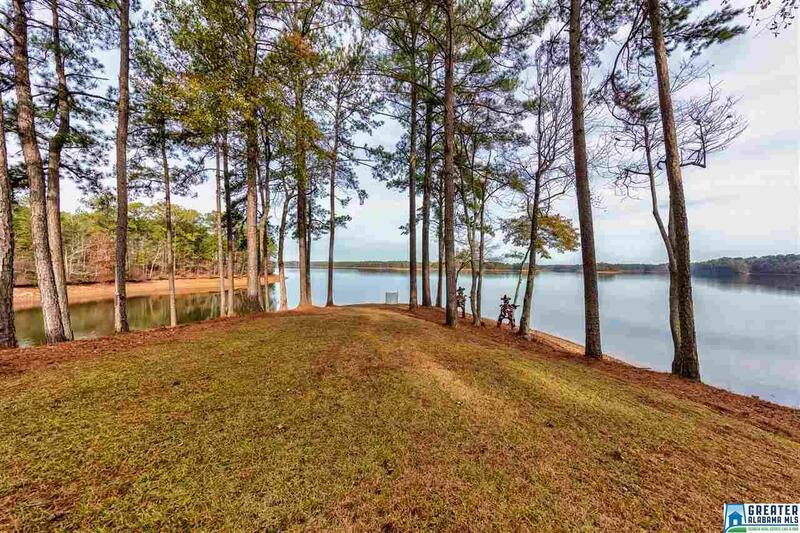 Views unlike any other on Lake Wedowee. 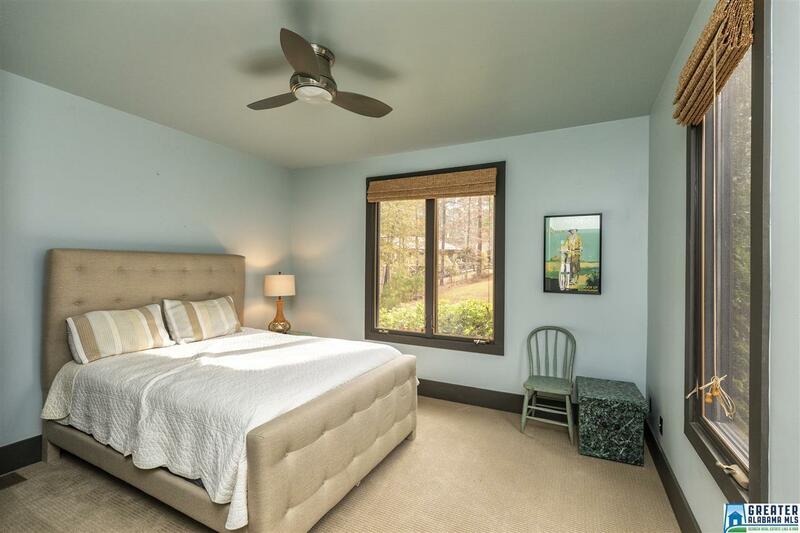 The home your family has been looking for.